Once in a while I have the opportunity to take on a unique, listing. Nothing gets my creative juices flowing faster than a challenge. I listed just such a house and thought it would be fun to follow it through to sale in my blog. At first glance it's a lovely old country church complete with steeple and stained glass. Look again and you see that there is a modern section attached to one side with lots of windows angled to capture the sun. Tatiana purchased this property over 30 years ago and made a wonderful 6 bedroom 4 1/2 bath home for her family of three children to enjoy. 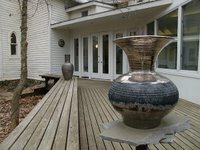 Now step inside and find yourself in a soaring space that holds an art gallery as well as the artist's home and studio. Natural light pours in all around you, and the white walls make a perfect setting for the imagination to roam free. 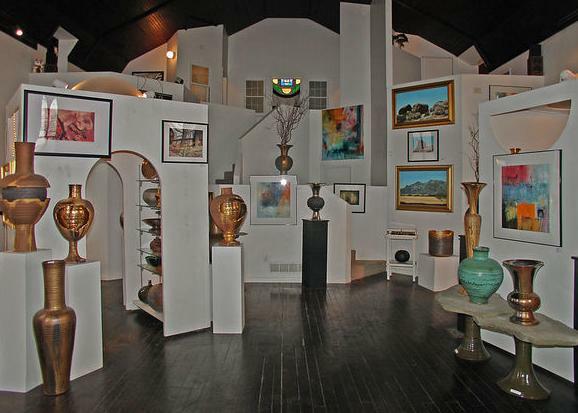 I can see this used as a gallery, as it is now, but also as studio space for artists and craftsmen, a graphic design studio, an architect's office, even home to someone's collection of antique dolls or a grand model railroad garden. With livable space inside and out, the possibilities are literally endless! Sure, it's not for everyone, but for the right person or groups, this wonderful building will be the perfect answer to their dreams. Click here for many more photos, and stay tuned as I work with the seller to market this unique property and find the buyers who will love this home as much as she does. www.HomeRome.com to see more photos! I love re purposed buildings, what a great way to save them! And this one looks like a beauty with all the natural light. "Re purposed" good term. 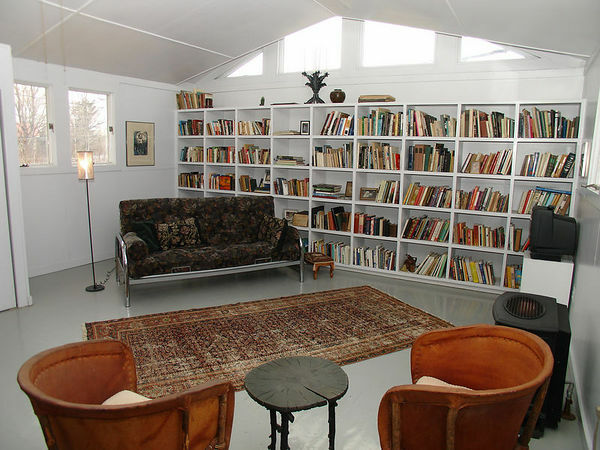 This is a wonderful property for re purposing.Thanks Dena! Margaret, This is a great listing and wonderful post. Thanks for sharing. It is really a lift in the business to have unique propertie. Here's to a quick sale. I would love to see the right buyer for this propety. Unique properties do keep the excitement alive! Wynne, Thanks for stopping by. Gloria, Oh now to find the right buyers. I do have a promising showing this Saturday. Wish me luck! Margaret - this is a perfect example of a listing that belongs in the Buildings group. Thanks for adding it. Sharon, I love this listing! 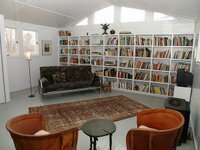 Did you take a look at the other photos of this property on my website? Thanks for starting the Buildings Group..wonderful idea for unique properties and lisings. Margaret, what a unique listing. This would be a first for me. I was so enamored and wanted bigger pictures and more. This is fantastic. Thank you Gena, This my first church. I love the property. I have a wonderful couple who I think would be perfect owners. They are thinking of having their wedding here after they move in! I think it's an amazing place! And my daughter is an artist, I'm sure she could see herself moving right in there. I bet the perfect person finds it! Thank you for the terrific pictures! Carole, I,too, think this is an amazing place, perfect for an artist. What kind of art does you daughter do? Let's bring her to Maryland; this would make a perfect home and studio. Margaret, I just love this place. Is that solar I see on the side? Love the red tub. I'd become an artist just to get this property. What a fantastic listing. Whoever, does buy this is getting a great, unique,fantastic investment. And if these people buy and marry in it...wow...so special. Gena, You are looking at greenhouse windows that are part of the separate studio apartment. That is a Japanese soaking tub used by the artist/owner after a long day of lifting, kneading and throwing the heavy clay used in making her magnificent pots! Margaret, oh it makes me want it more!!!!! Dare I ask why she would want to leave such a wonderful place?! Tatiana moved to Albuquerque to be near one of her sons. I am hoping to get photos of her new studio soon and will be sharing them here..
Gena, It was you who inspired me to write this What is Tatiana Up To Now? 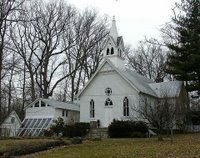 I have seen a new trend the last 10 years in some parts of the Midwest to save the old churches by converting them to apartments or condos. One of my friends lived in a unit where the altar stood, and have a huge stained glass window in their living room (they kept the cathedral ceilings). This is a great example of reclaiming space to inspire like it once did during sermons. Jennifer, This space has been reclaimed beautifully. The ceilings, floors and windows are all original. This historic property boasts six bedrooms and four and a half baths.